The below is a listing of selected Bangkok golf courses. You can consider one of our Bangkok All Inclusive Golf Packages or give us specific input to tailor your unique Custom Made Package in Bangkok. If you already have accommodation arranged, please refer to our Golf Tee Time Booking and Transfers in Bangkok. The below is a listing of selected golf courses in the Chiang Mai area. You can consider one of our Chiang Mai All Inclusive Golf Packages or give us specific input to tailor your unique Custom Made Package in Chiang Mai. If you already have accommodation arranged, please refer to our Golf Tee Time Booking and Transfers in Chiang Mai. The below is a listing of selected golf courses in the Hua Hin area. You can consider one of our Hua Hin All Inclusive Golf Packages or give us specific input to tailor your unique Custom Made Package in Hua Hin. If you already have accommodation arranged, please refer to our Golf Tee Time Booking and Transfers in Hua Hin. The below is a listing of selected golf courses in the Pattaya area. You can consider one of our Pattaya All Inclusive Golf Packages or give us specific input to tailor your unique Custom Made Package in Pattaya. If you already have accommodation arranged, please refer to our Golf Tee Time Booking and Transfers in Pattaya. 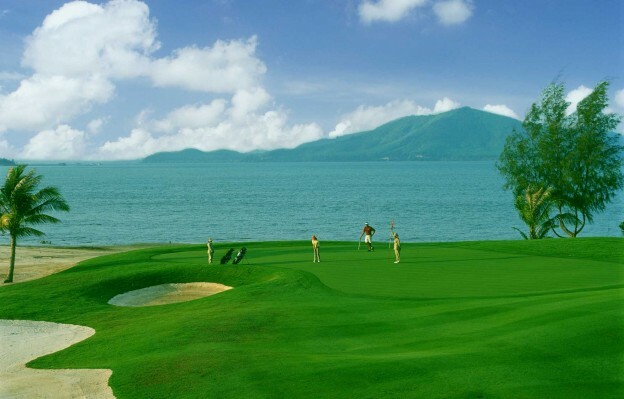 The below is a complete listing of all golf courses in the Phuket area. You can consider one of our Phuket All Inclusive Golf Packages or give us specific input to tailor your unique Custom Made Package in Phuket. If you already have accommodation arranged, please refer to our Golf Tee Time Booking and Transfers in Phuket.